TIM School Communicator is a suite of applications for schools built on the Telstra Integrated Messaging (TIM) mobile platform. TIM School Communicator unlocks a collaborative 2-way mobile experience for the entire school community, including teachers, students, parents and staff. TIM’s anti-bullying helpline is 100% anonymous and allows students, parents or anyone else to send anonymous inbound texts to report bullying or other sensitive issues. A school administrator can then take immediate action without exposing the source or further jeopardising the students’ situation and reputation. TIM’s advanced broadcast alerting system is a comprehensive crisis preparedness solution for schools. The system is configured in advance because each moment counts: Critical group lists are preconfigured, templates are pre-loaded so the system can automatically and intelligently route time-sensitive information to the right people. TIM can be used as a 2-way mobile communication system for truancy notifications to parents, organising school sporting events, for parent-teacher communication about students, to send automatic reminders and even use in parent/student homework exercises on mobile devices. TIM enables deeper and enriched engagement from the entire school. Create a safe and inclusive learning environment. Many students and parents are reluctant to raise issues such as bullying and other sensitive topics with school administration out of fear of worsening the problem or being ridiculed. 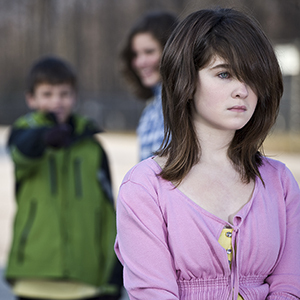 Anonymity has been proven effective in encouraging reports of bullying and other crimes. TIM’s 100% anonymous helpline empowers students and helps to create a safer and inclusive learning environment for your school. Messages are anonymous and cannot be traced by anyone back to the person who sent the message. 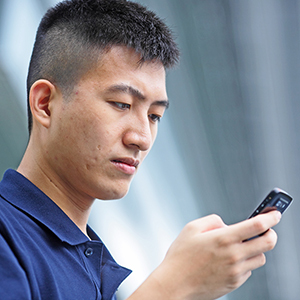 Messages are routed straight to school officials and are immediately actionable. A confirmation message is sent to sender to acknowledge the information was received, and assurance is given to the sender that all messages are anonymous. 2-way dialogue (100% anonymous) can be optionally initiated to obtain further detail from the sender. Rapid notification during unexpected events. Last-minute class schedule or outdoor event changes due to bad weather are full of stress and are challenging to manage effectively without a communication plan, but an unexpected threat to campus safety typically leaves very little time for ad hoc planning or response. A preparedness plan is essential, and technology can be a central element in the plan. In advance, you will create your templates and group lists (for example, your different templates and group lists for your students, teachers, first responder staff, parents, etc.) and your message templates. Or, import group lists and contacts from existing school IT systems. The system is preconfigured so you can quickly deploy time-sensitive information to the right people via their preferred mobile medium (SMS, Email or Voice).Broadcasts can be initiated in a number of ways including from your mobile phone or tablet or any web enabled device. Trigger alerts from any web browser, whether you are on or off school premises at any time of the day or night. Add customised content, combine group lists, and review requested delivery confirmations and real-time reporting. The system will track all responses, automatically escalate if no response is received based on duration rules you establish. Use the system to provide ongoing communication after the event. Send ad hoc notifications anytime, or schedule automatic delivery of pre-written or pre-recorded messages to appropriate recipients. Deepen the level of engagement within schools. Collaboration between teachers, parents, students, staff and administrators is complex and challenging. TIM enables true two-way communication with mobile phones, tablets and laptops reduces this complexity and moves the school beyond traditional methods. Access the messaging portal from anywhere. Easily establish custom user permissions and role-based account views (admin-level, teacher-level, etc.). Add 2-way messaging and alerting capabilities to almost any existing school or IT systems using TIM’s “Smart APIs” for integration. Keywords such as “Debate Club” or “MySchool Info” can be used to provide instant information based on inbound query messages beginning with the appropriate keyword. TIM enables one-to-one and one-to-many communication. Choose from SMS, MMS, Email, or voice broadcast for personalised delivery to each recipient’s medium of choice. Names and other information can be automatically added to messages for personalisation. Replies to messages sent to parents or students can be easily captured and routed back to the sender, or copied to the appropriate inboxes of others. Messages and reminders can be scheduled in the system to be sent automatically at one or more times during the day, week or month. Unlock possibilities with TIM’s true 2-way mobile capabilities. 2-way student-teacher interaction after class ends. Create quizzes, polls and surveys that reach mobile devices. Remind students of upcoming tests or exams. Notify parents of illness, unexplained absences or low attendance. Send scheduled reminders or late-payment alerts. Allow parents to subscribe to school event reminders. Daily management and communication with school staff. Organise sporting events, field trips, dances and off-site events. TIM Integrates with numerous existing content and database systems. Telstra Integrated Messaging (TIM) is widely used by hundreds of school customers and thousands of business and government entities in Australia. TIM is a proven intelligent, geo-redundant and feature-rich software platform that currently delivers message volumes in excess of 50 million mission-critical messages a month worldwide and has demonstrated its ability to handle volume spikes and maintain low message delivery latency and high platform availability. Telstra has been trusted for more than 10 years by major Australian school systems, commercial banks, government agencies, businesses and emergency services for mission-critical messaging and an extremely diverse set of use. TIM School Communicator is built on an award-winning software platform and offers proven technical platform adaptability and stability to address the evolving messaging needs of any school. HTTPS and FTPS access, secure messaging and 2-factor authentication via SMS for password protection are just a few examples of Soprano’s commitment to enabling a secure environment. Manage contacts, groups, and distributions lists with permission/consent management (opt-in and opt-out). Control hierarchical role-based and permissions-based visibility management for each group. Powerful real-time and scheduled reporting that can enable viewing TIM system data across the entire school, for each individual group, or for each individual user. “Smart APIs” extend 2-way messaging for leading student administration systems, student information systems, electronic registrations as well as various alerting and facility/IT systems. TIM School Communicator is backed by Telstra’s 24x7x365 highly available support team. Flexible application framework to enable just about any business messaging use case.